Our guest today had turned her childhood snack into her own business, providing healthy alternatives to eating snacks! 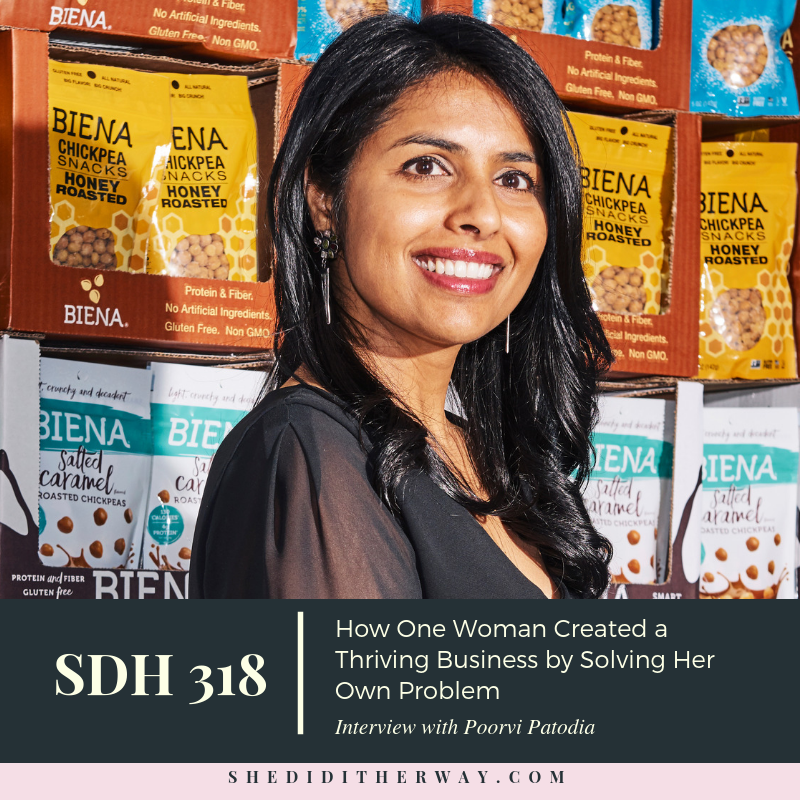 Poorvi Patodia, CEO & Founder of Biena Snacks, launched Biena Snacks in 2012. Inspired by a favorite childhood snack, she started experimenting with roasted chickpeas in her own kitchen and ultimately came up with a unique roasting process that resulted in a light and crispy texture, that maintained the protein, fiber, and nutrients of a whole chickpea. Today, Biena Snacks has reached national distribution with availability in over 15,000 retail locations, secured dozens of "best snack" awards and recently introduced a first-of-its-kind line of chocolate-covered roasted chickpeas, which includes a Girl Scout Cookie™-Inspired Thin Mints™ flavor that launched in June 2018. Biena Snacks has been named to Inc. 5000's Fastest Growing Companies for two consecutive years, and as the fifth fastest growing company in Boston..
"When partnering with a manufacturer or vendor you need someone at your pace."